Haimovitz’s newest CD (available on his website and on Amazon), collects four modern attempts to bring these two instruments together. The album begins with a jazzy David Sanford piece, “22 Part 1.” It continues with works by three Harvard-affiliated composers: Samuel Barber, D.Mus. ’59; Elliott Carter ’30, D.Mus. ’70; and Augusta Read Thomas, BF ’91, JF ’94. Everyone in the recording booth agreed the cello wasn’t coming through. Matt Haimovitz ’96 huddled over the sound controls with his wife, producer Luna Pearl Woolf ’95, and the music’s composer, David Sanford, to listen to the playback. Sanford suggested that Haimovitz raise his part an octave, just for a few measures, to help it cut through the deep thicket of piano accompaniment. Jazz and opera singers, Sanford pointed out, do it all the time. Haimovitz joked that the next 50 cellists who played the piece would think he was doing it wrong, but agreed to give it a try. 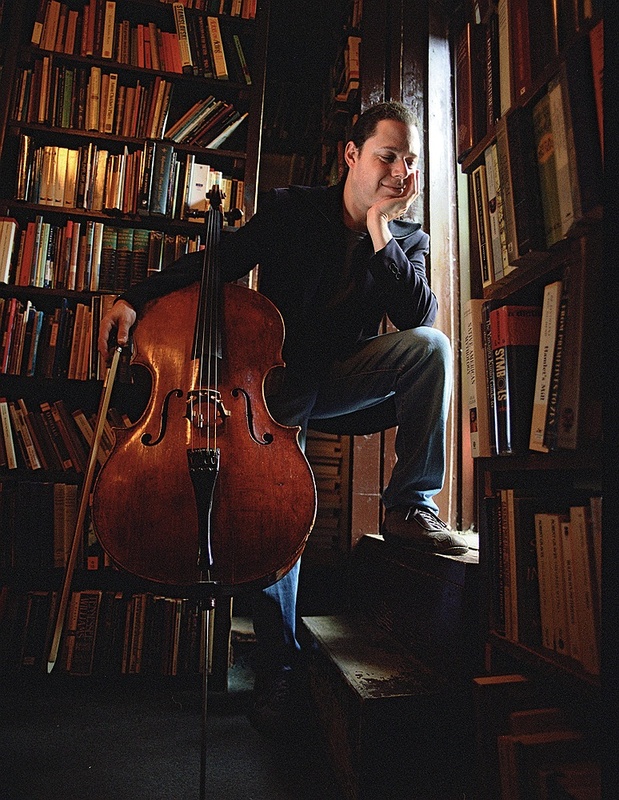 Cello and piano may seem a natural pairing, but Haimovitz has titled his new album Odd Couple. Because the piano belongs to the percussion family and the cello to the strings, he claims, their sound qualities, or timbres, don’t match. Pianos also have fixed tunings, whereas a cellist can slide or vibrate notes to produce a more expressive intonation. But the biggest problem is that the piano’s massive sound can easily overwhelm the cello. This wasn’t as much a challenge for Bach and Beethoven—earlier keyboard instruments were softer—but in the recording studio in Montreal (where Haimovitz teaches cello at McGill University), he and Woolf (herself a composer) had to tinker constantly with the sound controls to pick up the right balance. All four pieces on Odd Couple are by contemporary composers and take different approaches to combining the two instruments. In Cantos for Slava, by Augusta Read Thomas, BF ’91, JF ’94, Haimovitz and his pianist, Geoffrey Burleson, both plucked their strings, Haimovitz on the cello and Burleson inside the piano. 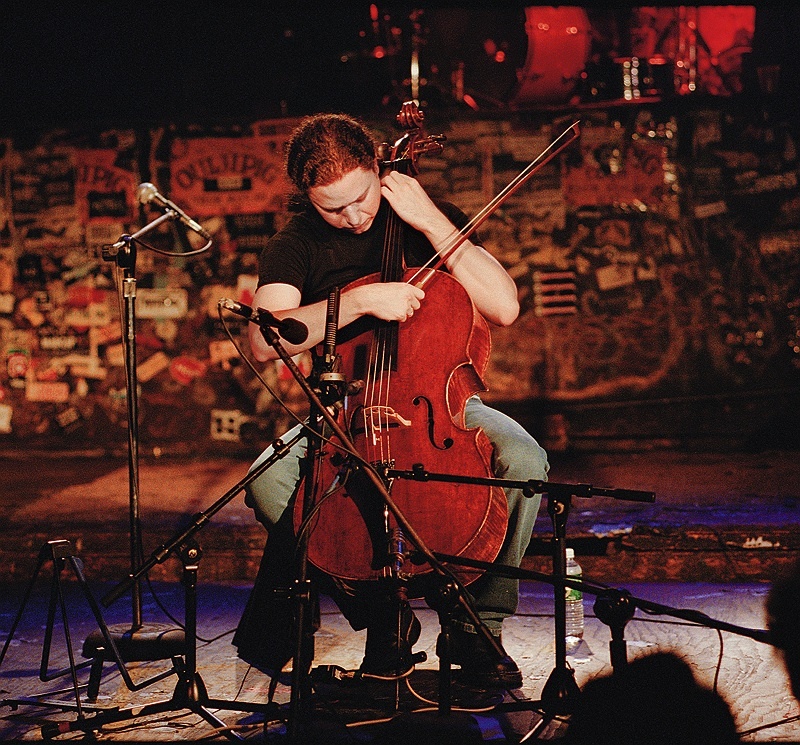 Achieving balance in Sanford’s 22 Part 1, which Haimovitz likened to a “rock ’n’ roll boxing ring,” required furious bowing on the cello and digital amplification. The Cello Sonata, op. 6, by Samuel Barber, D.Mus. ’59, and the Sonata for Cello and Piano, by Elliott Carter ’30, D.Mus. ’70, complete the disc; Haimovitz calls the Carter “one of the most successful works in the genre, in the richness of each individual part and how the two come together” after each instrument begins in “its own metric world.” The music on Odd Couple, he says, is “maximalist”—dense and energetic, as opposed to the current trend among composers toward more minimalist scores.